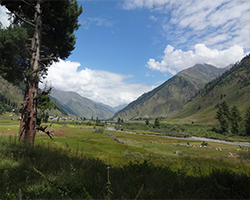 Chashma Shahi or the Royal Spring dots the slanting slopes of the Zabarwan Range, near Rajbhawan (Governor‘s house) in the outskirts of Srinagar at a distance of nine kilometers from the city centre. 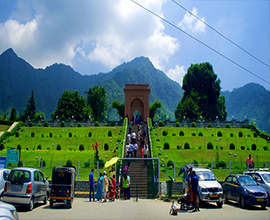 It is the smallest yet the more enchanting of the Mughal gardens of Srinagar perched half way on the Dal side of the hillock overlooking the vast lake below and the snow- capped Himalayan mountain peaks far away. 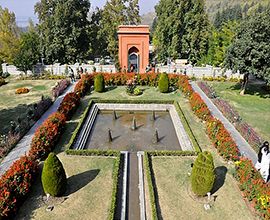 Built around a spring, the garden was laid by Mughal emperor Shah Jahan in 1632 A.D. the spring is famous for pure, cool and sparking waters having digestive and curative properties. 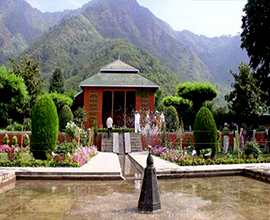 Famous writer Aldous Huxley says that Chashma Shahi is "architecturally the most charming of the gardens near Srinagar". Measuring 108 metres by 38 metres and spread over one acre of land, Chashma Shahi has three terraces, an aqueduct, waterfalls and fountains. It is built in such a way that the spring water is the source of fountains and from there, water flows along the floor of the pavilion and cascades to a lower terrace along a polished black stone chute. The artistically build garden has Persian influence in its design and the main focus is on the spring, the water of which flows through its centre in terraces, giving it a serene and enlivening look. The visitors approach the uphill garden through a flight of stairs running up along the terraces to the spring. Its water has been so darling to the Mughal emperors that it used to be taken all the way from Srinagar to Agra during Shah Jahan’s reign. Jawahar Lal Nehru also used to get the water of the spring to Delhi. 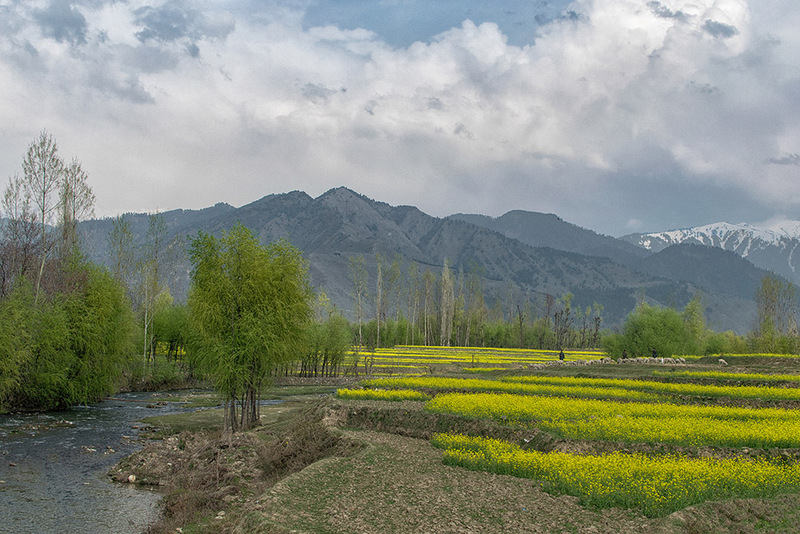 The garden is connected by the Boulevard Road which passes along the banks of the Dal lake. There are many hotels and restaurants available for boarding and lodging near the garden.